Swan Lake is a Japanese craft brewer from Niigata. They are a medium to large sized brewery for the craft beer market in Japan and well known in Tokyo. You can find their beers all over in different bars but their bottles are a lot harder to find. I usually don’t see them in Tokyo but I can only assume they are available in Niigata. Instead of being able to get their beers in stores, I can get their beers on tap at their own shop in Yaesu, Tokyo Station. 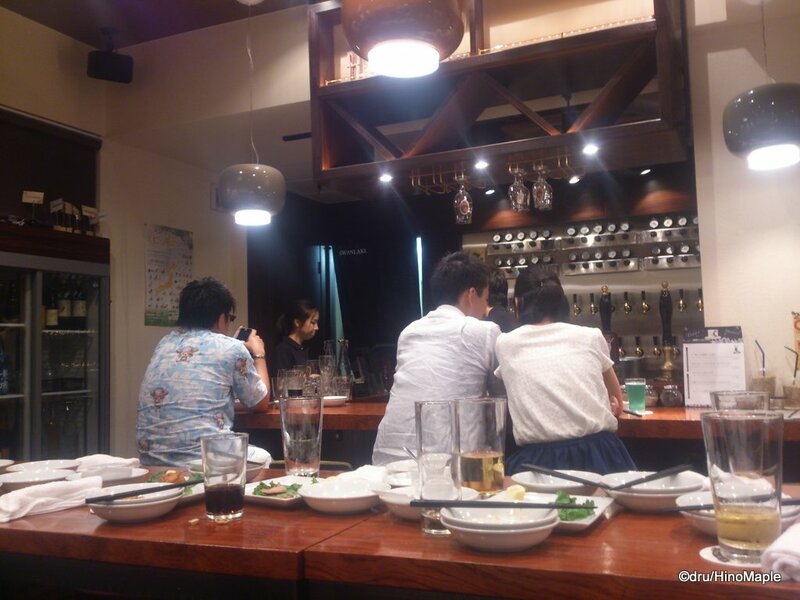 Swanlake Pub Edo is just a few minutes away from Tokyo Station. 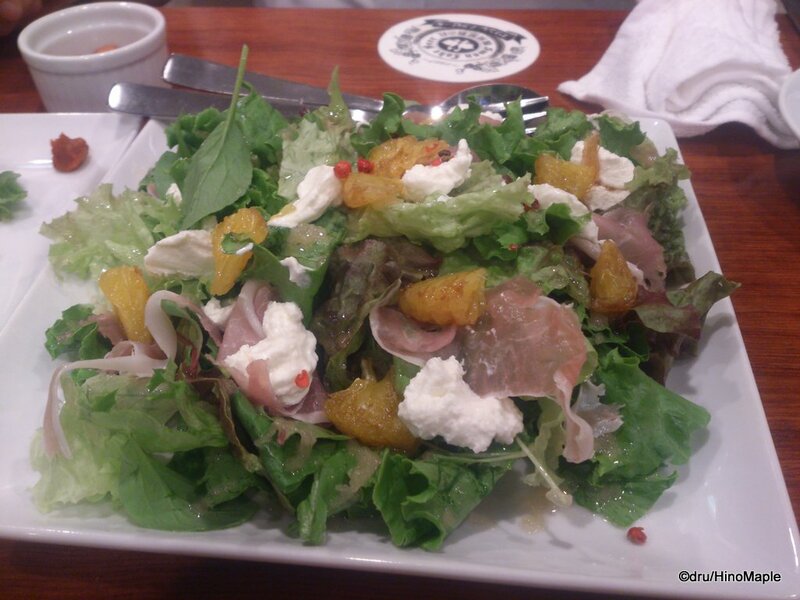 It is a great place and next to another posh eatery called “Ore no Italian”, or “My Italian”. Swanlake is a very simple bar that can be pretty noisy at times. When we entered, there were several groups but most of them were already drinking and quite boisterous. It was a little hard to talk but once the loudest groups left, it was pretty quiet. The area is a little cramp and reminded me of Bay Brewing in Yokohama; just a simple shop with good drinks and good food. Swanlake is a little different in that they not only have a lot of their own beers on tap, but they also have a full list of guest beers as well. I was surprised to see this as I’m usually used to seeing guest beers only having a small presence in these types of shops. They had a good lineup of beers, but they also had a few that were just atrocious. When I was there, I had their Black IPA, Porter, and Amber Ale. I felt it was all pretty good overall and the taps were well maintained. The Black IPA was pretty good but needed a little something extra. The Porter was a little disappointing. I prefer a strong porter and this was a little weak for me. The Amber Ale was recommended by the server and it was the best of the 3 and something I would have again. While I am a little critical of the beer, I do think the quality is very good and you should still try all of the beers. The food was also pretty good. They don’t have a lot of food for the bar setting. A lot of food seems more suited to eating on your own as dinner, but when sharing with a friend, it is a little hard to share pasta. I didn’t mind it so much but I was a little hungry after. I tend to enjoy eating fries or other starchy foods when drinking but the options felt limited on this end. What we did order was really good and while I may get a little tired of the menu after my 10th visit, I would still think it was good. Swanlake Pub Edo is a great place to go near Tokyo Station. 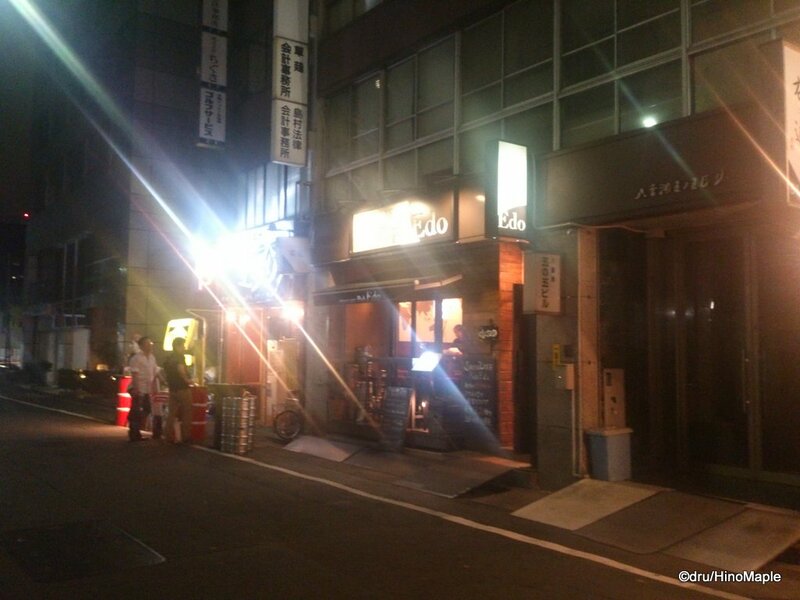 It is a good place for me to go as well as I can have a nice beer after work on the weekends. I don’t know if I’ll be going there every weekend but I’ll definitely be back. One of the little things they do is to also let you watch them making beer on one of the big screens. They have a short video that is on loop so you can get a good idea as to how to make beer. I could easily just watch that all day long while enjoying some nice beers. 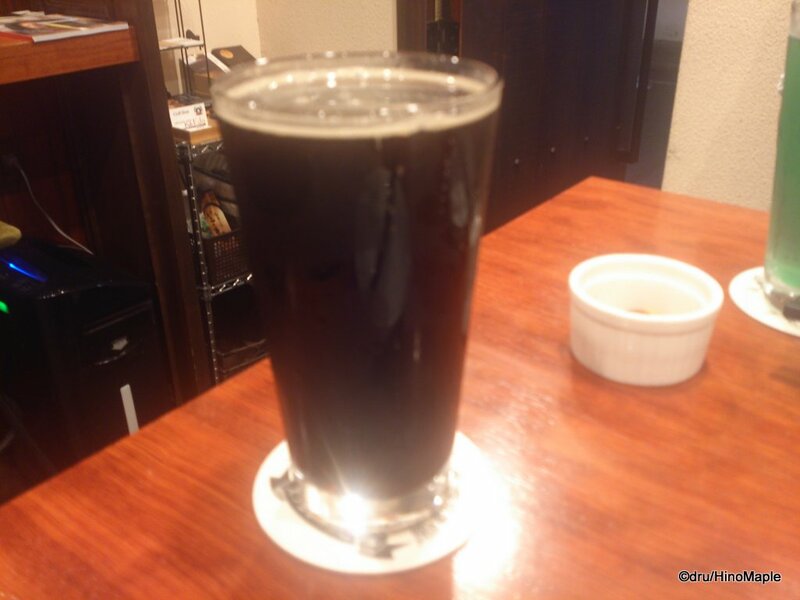 This entry was posted in Tokyo Food and tagged beer, craft beer, japan, Swan Lake, Swan Lake Amber Ale, Swan Lake Beer, Swan Lake Pub Edo, Swanlake, Swanlake Pub Edo, tokyo, Tokyo Station, Yaesu by Dru. Bookmark the permalink.